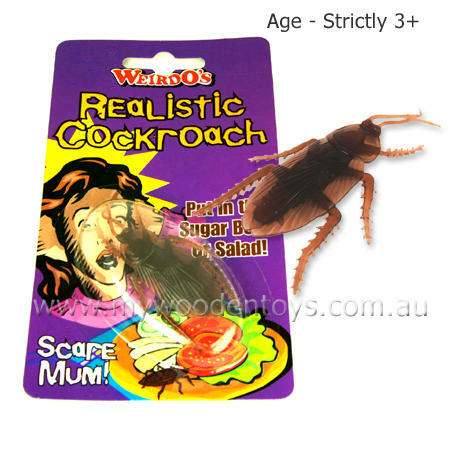 Joke Plastic Cockroach Trick is a very realistic looking cockroach which can be hidden in all sorts of places to trick all sorts of people. This little joke toy is particularly effective left on a slice of bread or inside the fridge. We like this because: "A devious little trick. "